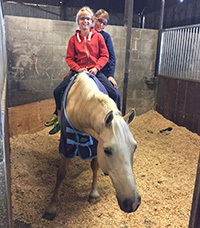 Zak is a 14.2hh lovely Welsh palomino pony that Jenny, Josh and Ursula shared to give him an education and experience. He has a great attitude, jump and paces. 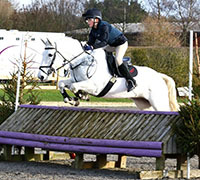 Zak has been sold to a lovely family with a competitive and talented daughter to compete and have fun with. 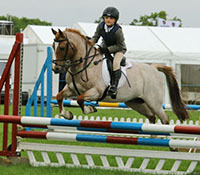 Charlie is a 13.3hh liver chestnut gelding who has been there and done it – he loves to jump and he and Josh really clicked; both of them are laid back and most of the time meandered around at a gentle pace, but when at a competition or with an opportunity to do some jumping they shared a need for speed! He has moved on to make a new jockey, Amelia, happy now. Freddie is a 12.3hh strawberry roan gelding who is wise beyond his years – like Toddy (Ursula’s previous pony) he is a little horse, as he has stride and jump which defies his size. He doesn’t seem to have a naughty bone in his body bar a dislike of you touching his ears or pulling his mane, or being caught by a grown up – but with little people he can do no wrong. He has gone to be enjoyed by Ali Butler’s son Arthur. We had Kerry on loan from the Rugman family. 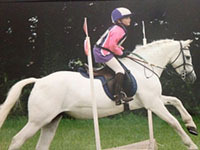 She was an amazing competition and hunting pony who gave Josh lots of confidence and many, many fun days whether arena eventing, pony club showjumping or flying hedges out hunting. She has now retired. CJ has moved on to a lovely family near Newbury – he is the most gentle and kind pony who loves fun rides, and is wise beyond his years; unfazed by cowboys and indians or fancy dress creations – he’s one of those ponies who is immediately able to guage the experience and confidence of the child on board and hence give them confidence – he was a great ‘transition pony’ for Josh, really teaching him to ride, something I will always be grateful for. Toddy has moved on to look after our vet’s (Tom C) children – sadly Ursula had grown out of him and it was time to find him another home to be cherished in – Toddy is another true gent, who forms very strong bonds with the little girls who care for him. He loves the finer things in life and nothing more than endless cuddles with his jockey. He has looked after many little girls and fuelled their love of ponies. He is a very special pony with massive talent and beautiful manners. Slipper was the Rolls Royce of second ponies, and we were extremely lucky to have her. 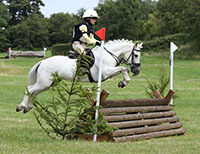 12.2hh and hugely experienced she taught Josh and Ursula so much. I was very sad to see Silks leave the yard. Owned by Francis Birks he was a very talented and intelligent horse. Highlights for me were winning Tatts CIC*** in 2013, Blair CCI*** in 2013 and Aston Advanced in 2014. Silks has gone to a new home local to us where he will have some fun hunting, enjoy some lower level eventing, and live like a king. 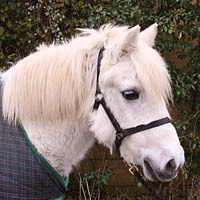 Minty came to us from the National Stud, where she was bred. 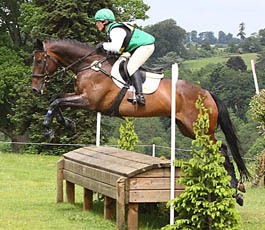 She has now retired from eventing as a career. Timmy has moved to his new home with Elsa and the Lamb family to enjoy lots of love and giving Elsa lots of fun and competitive experience in our local pony club the North Cotswold Hunt. He is only just up the road from us so we will be able to watch them develop as a partnership and I’m sure it won’t be long until they are winning all of the prizes! Bill gained the ride on Figgy towards the end of the 2009 season. Sadly she picked up an injury on the gallops in the Spring of 2011 and the Gover family decided it was time for a career change. She has gone to the Harthill Stud, to live a lovely life as a broodmare with Nina Barbour and her team. 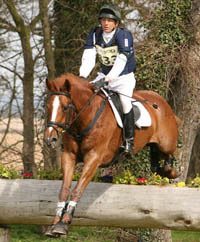 Harry came to Bill from Vere Phillips via Chloe Newton during the 2008 season, having previously show jumped in France/Ireland. 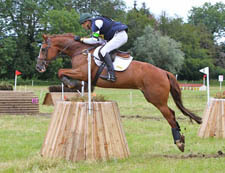 Bill took him from Novice up to three star level and his last run was at Blenheim in 2011 where he jumped clear across country and had a single rail show jumping. He has retired to the hunting field, a career that he will love. Tim is owned by Janet and Matt Prior and the Levetts. Matt produced Tim up through the grades, winning Blair CCI** along the way (beating Bill in to second place with Blacker Cat NJ) and completing Bramham and Blair CCI*** and Badminton and Burghley (twice). 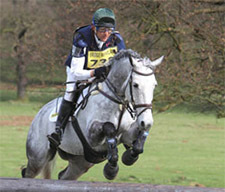 Bill took over the ride in 2010, finishing 28th at Badminton, only their third ever event. 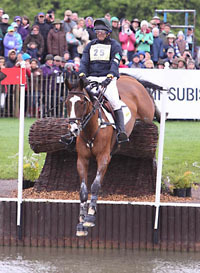 This was Tim’s highest completion at four star to date and resulted in selection as a reserve for the 2010 WEG. 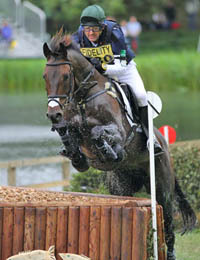 His last run was at Burghley 2011 where he produced a personal best dressage test. While Joshua’s first pony was Peggy Sue (see below), Ursula favoured something a little younger than her brother. Now apporaching 30, Basil contested the local shows, including all and any mini show jumping Ursula could twist daddy’s arm to enter! 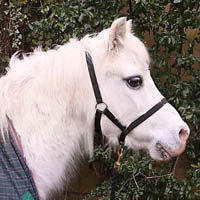 Basil has now moved on to give joy to another family – he’s a very special pony. 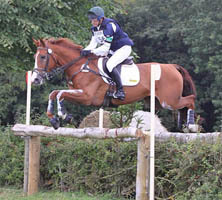 Min, owned by Angela Dimsdale-Gill, was placed 10th at Burghley in 2004. He is a firm favourite with all of ‘Team Levett’, and has been based with us since 2002. 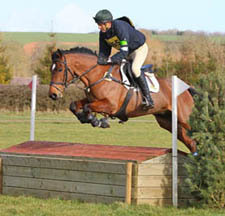 He is a very kind and gentle horse but was brave as a lion when it came to eventing. 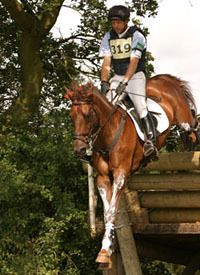 Min had leg trouble on and off during the later part of his career – he’s currently in good health and in full work, but has been retired from competition. 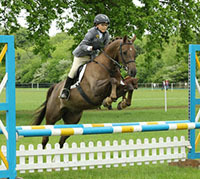 Bella was due to run at Burghley 2010 but she injured herself in the run up. She has now returned to her owners, the Kemps, for her rehabilitation and most likely won’t be coming back to pursue a competitive future again but instead may become a brood mare. I had some great rides on her over the years across country and, despite her driving me mad on the flat, I have a huge soft spot for her. Her going has left a big hole in the yard. Buzz is an Australian TB gelding, a fun horse who helped Jenny rebuild her confidence riding with the gentlest, quietest kind nature. 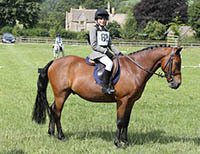 He is very good on the flat, and was frequently in the lead or top few after dressage as well as being the perfect leading rein horse when the kids were out hacking. He’s now moved on to live with a local Pony Club mum. Peggy Sue was very much Joshua’s pony. She was an angel unless you asked her to go beyond walk and a gentle trot, with a decisive buck. At the age of 40 she moved on to our friends Joss and Juliette Gray to introduce their little ones to ponies – a job at which she excelled.